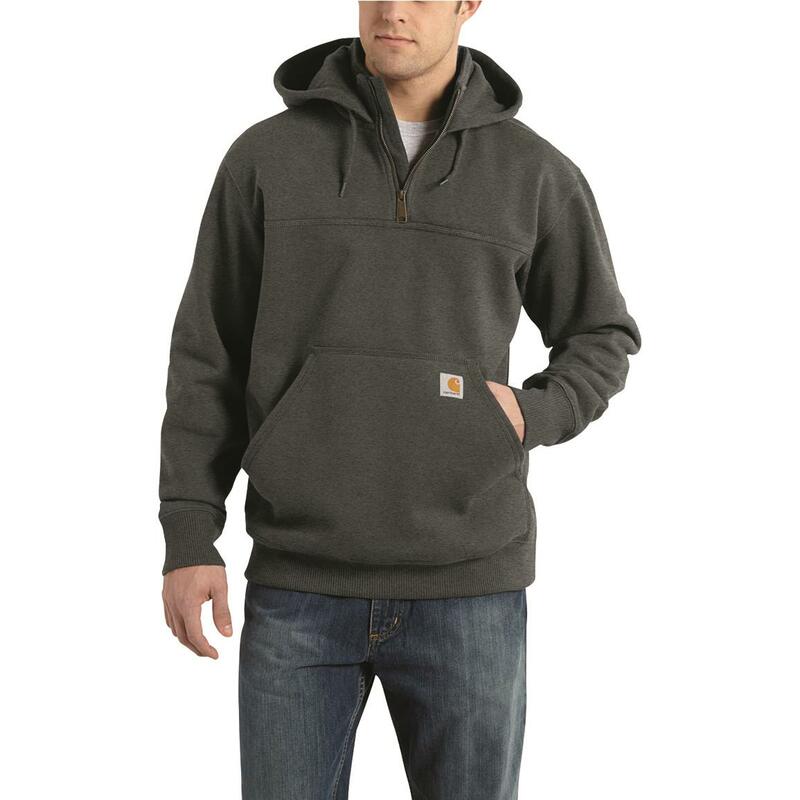 Tackle your workday or chore list—no matter the weather—with this quarter-zip Hoodie. Heavyweight 13-oz. fabric puts a thick layer of warmth and wind resistance between you and the elements. Plus, Rain Defender DWR finish makes water bead up and roll right off. Jersey-lined drawstring hood provides added protection when needed. And spandex-reinforced rib-knit cuffs and waistband are built for the long haul. 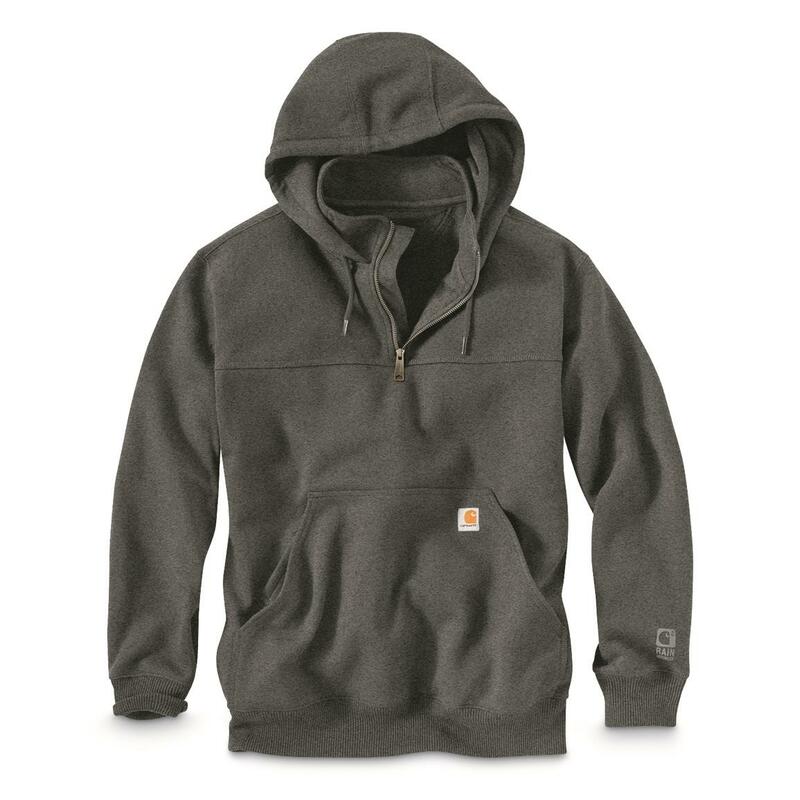 Get the Carhartt® Paxton sent right to you! Carhartt Mens Rain Defender Paxton Heavyweight Hooded Zip Mock Sweatshirt is rated 4.3 out of 5 by 3. Rated 5 out of 5 by Hooter from It was a great price! I really like it and it keeps me warm! 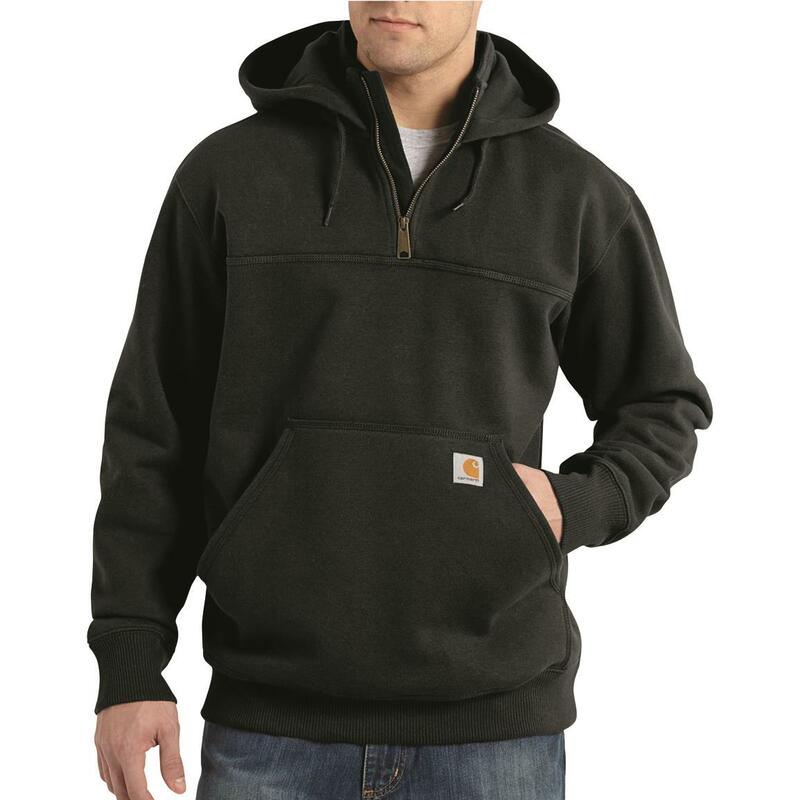 Rated 5 out of 5 by Bruce from Warm and comfortable I'm glad I purchased this heavy weight Carhartt hoodie, it's warm and comfortable when I'm outside working, especially in the wind. It became my favorite hoodie from the very first moment I put it on! Thumbs up on this one guys, if you purchase one, you will probably wish you had two, I know I do.